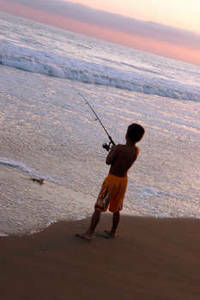 Description: Free photo of a young boy, in orange shorts, fishing on the beach. The ocean is very foamy. The sky is pink suggesting either early morning or just after sunset.